NOTES: Snow level near 8,500 feet. Two to three inches of moist new snow sits atop a deep snowpack with many melt-freeze crusts. Snowpack tests indicated resistant planar fractures were possible with hard force failing above a melt-freeze crust 12 inches down. No propagation was observed on this layer (ECTN22). A wet spring storm blew this morning bringing rain and high snow levels at about 8,500 feet. 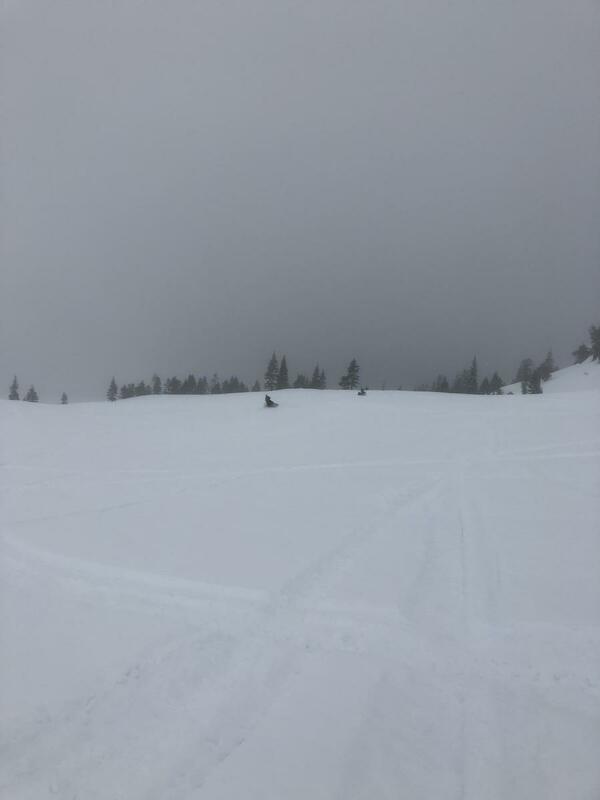 Two to three inches of wet snow was observed at 9,200 feet in Old Ski Bowl. Light winds were blowing out of the south/southeast. Little blowing snow was observed. Temperatures were trending cooler at 1400 when we returned to Bunny Flat trailhead.